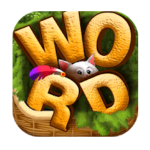 You can find here the answers of Word Cats, the new amazing and attractive android and ios ( for iphone and ipad ) word game developed by Health Group, a good puzzle for all Word gamers, it helps our brain and train our neurons . We have fixed all words and achieved all levels. It is fully completed so you can count on this topic to do so. You can earn coins the first time you log in the Word Cats every day. Also. The more days you log in the Game，the more coins you will earn.